Not only does the content on the Internet constantly evolve, so does the mechanisms behind it. HTML has gone through many generations, it’s now a breeze to upload and download just about anything and everything runs faster and smoother than was once imagined possible. Just about everyone is on the ‘Net in some form or another, and it makes simple sense for companies to build on their opportunities on the Web. Calgary Internet marketing brings all the aspects of your business together in one place at the same time. 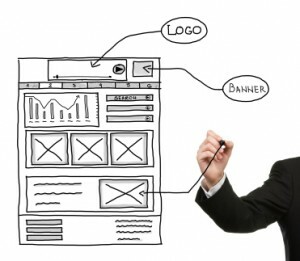 Your website acts as your storefront, and its content represents your products or services. Inbound techniques work like your sales staff, and online purchasing software alternatives make it easy to close the deal. A website that’s as smart as your business can be the deciding factor for a potential client, and helps build a symbiotic relationship for the long term. When you’re competing with other companies in Calgary, Internet marketing that matters should be your prime basis for advancement. Keep in mind that people are busy, and want to be presented with what they want just about immediately after they start looking. Although algorithms are placing less and less emphasis on optimization, sites still need to be streamlined for search engines. Code needs to be debugged and keywords inserted appropriately in order to get a head start on the others. As for design details that people appear to enjoy, the following are a few trends to consider when building (or re-building) your website. Any website designed today must be responsive. It should be viewable and navigable from every type of device available. Internet marketing in Calgary is visual, and recent technology called “retina display” appears here to stay. Retina display essentially doubles the number of pixels available, allowing designers to create even more detailed illustrations. Long pages that load as you scroll – such as Google Images – are becoming more prevalent and popular. Designers are experimenting more with fonts, and there are a lot more neat choices available as well. A distinctive font also allows you to brand your website in a cost-effective way. Landing pages that are clean and minimalistic have been shown to be more effective. Designers are simply presenting beautifully designed Calls-to-Action (CTAs) with very little text. Infographics are tough to construct, but invaluable when done well. They are often shared through social media and can present a great face for your business. Toggles that do more than just drop down are being used more and more often. It’s becoming increasingly the norm to use open-source software such as WordPress to build sites rather than constantly wrestling with HTML. Vertical navigation can add a unique element of style to your website. There are no limits to what you can do with the design of your website, but it’s most important that everything works properly. A surprising amount of business owners fail to surf their own website to ensure it acts the way they would like. Work closely with your designer to make your website intuitive, reactive and informative. It never pays to become complacent in anything, but most especially in business. You should always be assuming that your competitors are working just as hard as you – if not harder – on their Internet marketing plans. Outsourcing your online workload may be an option for you. PreviousPrevious post:Earn Leads With eGuides or Whitepapers: Online Marketing in CalgaryNextNext post:Internet Marketing: How Important is First Place?